For a corporation with deeply American roots, Microsoft seems remarkably unable to turn a profit here. Against all odds, the Redmond, Washington-based company continues to claim that virtually all its earnings are in foreign countries. Microsoft’s latest annual report, released earlier this week, shows that over the past two years, the company enjoyed worldwide income of almost $43 billion. It claims to have earned just 0.3 percent of that—$128 million—in the United States. The most obvious explanation for Microsoft’s comparatively small U.S. profits is that it can avoid virtually all U.S. income taxes by pretending its profits are being earned in tax havens. The company now discloses a total of $142 billion in “permanently reinvested” foreign earnings—an increase of $18 billion in the last year—and reports it would pay a tax rate of 31.7 percent if these profits were repatriated. This means that the company is currently avoiding a stunning $45 billion in taxes by holding its money offshore. The tax rate that the company reports it would pay on repatriation is what makes its claim that it is earning virtually all of its money offshore suspicious. Foreign profits are subject to the 35 percent federal corporate tax rate minus any taxes paid to foreign governments. This means Microsoft has paid a foreign tax rate of just over 3 percent on these offshore earnings. Countries in which corporate tax rates are in the low single digits tend to be Caribbean beach islands with small populations that are notably devoid of Microsoft manufacturing facilities. The idea that Microsoft would be earning larger profits in these small nations than in the United States is far-fetched, to say the least. It’s far more likely that these allegedly-offshore cash hoards, on which they have paid little or no tax to any government, likely never left U.S. shores to begin with. What to do about Microsoft and other corporations’ offshore cash is becoming a flashpoint as congressional leaders pivot from health care to tax reform. Collectively, corporations have at least $2.6 trillion stashed offshore. If these profits were repatriated under current tax rules, it could mean $700 billion in tax revenue. GOP leaders, however, tend to describe the situation as a case of corporate leaders desperate to reinvest their foreign earnings domestically (and therefore in need of a special low-tax holiday to encourage them to do so). 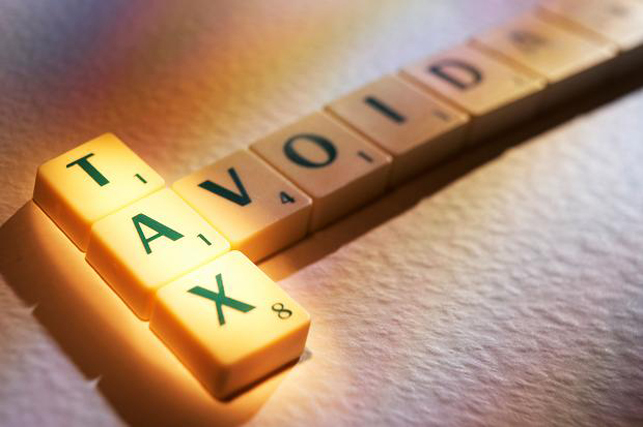 Others argue that much of these offshore profits are properly attributable to the United States and are being shifted offshore purely to avoid taxation, and argue that a tax holiday would reward this bad behavior. Microsoft’s latest earnings announcement offers strong circumstantial evidence in favor of the tax avoidance view.